Three employees at Whiting Forensic Division have been arrested in connection with an ongoing patient abuse investigation. Nine employees from the state’s maximum security psychiatric hospital have been arrested in connection with a long-running investigation into patient abuse at the Whiting Forensic Division in Middletown, the NBC Connecticut Troubleshooters have learned. 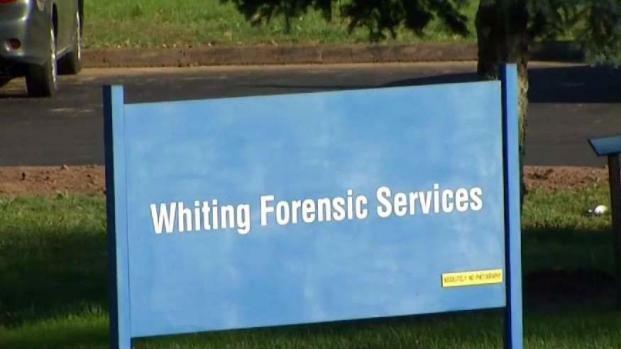 A total of 31 employees at the Whiting Forensic Division have been put on administrative leave since the spring, as allegations and videotape of the alleged abuse emerged, showing a patient was spit at and kicked and a dirty diaper was placed on his head. Charges: 2 counts of cruelty to persons and 2 counts of disorderly conduct. Charges: 5 counts of cruelty to persons and 5 counts of disorderly conduct. Charges: 6 counts of cruelty to persons and 6 counts of disorderly conduct. The state Department of Mental Health and Addiction Services released a statement to NBC Connecticut on Tuesday afternoon. "DMHAS is appreciative of the efforts of the Connecticut State Police and the State's Attorney Office related to the criminal investigation into allegations of patient abuse. The Department has cooperated fully with this investigation. DMHAS would like to reiterate that the agency finds the nature of the abuse described in the allegations reprehensible. The arrests reinforce that this type of behavior will not be tolerated within our service system. We continue to work to identify more ways to improve patient care and safety and will do whatever is necessary to prevent future incidents. We remain committed to our vision of providing high-quality behavioral health care that is compassionate, genuine and professional." the statement reads. NBC Connecticut chief investigative reporter Len Besthoff broke the story about the alleged abuse in April.